There are also a number of other factors that affect the colouration of our teeth, some we can control and some that are beyond our control. 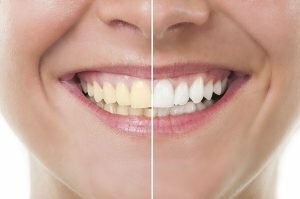 Understanding these factors and their treatments are the first step to erasing that yellow from your smile! Some food and drink. Coffee, tea and red wine contain tannins, which cause color compounds to stick to enamel, leaving unwanted stains. Surprising foods, like apples and potatoes, can also lead to stains and yellowing. Tobacco use. The nicotine and tar in cigarettes, cigars, and smokeless tobacco can make teeth yellow very quickly. Age. Most teeth naturally yellow as we age because the outer layer of enamel wears away, revealing the yellowish dentin layer underneath. Genetics. Some people have brighter or thicker enamel due to DNA. Thicker enamel will take longer to wear down, which can make teeth appear whiter longer. Medications. Tetracycline antibiotics, commonly used to treat bacterial infections, can cause permanent tooth stains. Additionally, some antihistamines, antipsychotic drugs, and high blood pressure medications can cause enamel to yellow. If your teeth are becoming yellow, be sure to tell your United Smiles dentist about all your medications. Cleaning Discoloured Teeth. There are a variety of at-home/DIY treatments for brightening teeth. However, a professional cleaning at United Smiles bring better results and is safer. Tooth Whitening Treatment. Many tooth whitening products are available in stores and on the Internet. They often look a bargain, however the dangers of a “cheap” solution can be considerable. Whitening bleach in inexperienced hands can easily damage tooth enamel and make the situation worse not better. Here at United Smiles, we know what exactly works best for your smile, offering you the best and longest lasting systems. Zoom! 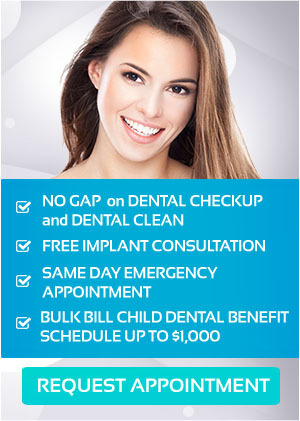 Teeth Whitening System has the best cosmetic bleaching available. Other over-the-counter whiteners or dental whitening procedures such as whitening toothpaste, strips, or whitening gels may help brighten your smile but nothing compares with the Zoom! Whitening, which provides safe and lasting results. With Zoom! Whitening, your smile can get an average of 8 shades whiter in just 45 minutes. It has also been clinically proven to be safe and effective. Dental Veneers. If the enamel has deteriorated to the extent that the underlying yellow dentine is visible, dental veneers are an ideal way of whitening them. Veneers are thin porcelain shells that fit over the front surface of the tooth. Veneers are suitable for the front teeth and are not for the rear ‘chewing’ teeth. Dental Crowns. Crowns are the ultimate solution for very heavily stained or eroded teeth that may have other defects as well. A crown is a cylinder made from porcelain fused to a metal core that is placed over your natural tooth. Whatever you need for your smile, United Smiles has it!